Our office is located three blocks West of the Plymouth County Courthouse, at 16 2nd Street Southeast, in Le Mars, Iowa. For those familiar with Le Mars, we are just off Central Avenue directly behind the Le Mars Art Center (the old Library), or across the street to the side of the Le Mars Beauty College. Our office is located at the North end of Main Street, on the West side of the street, at 406 N Main in Marcus, Iowa. 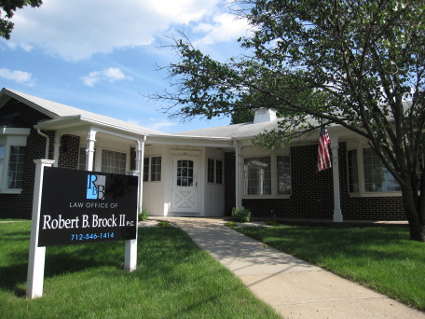 © 2014 Law Office of Robert B. Brock II, P.C.